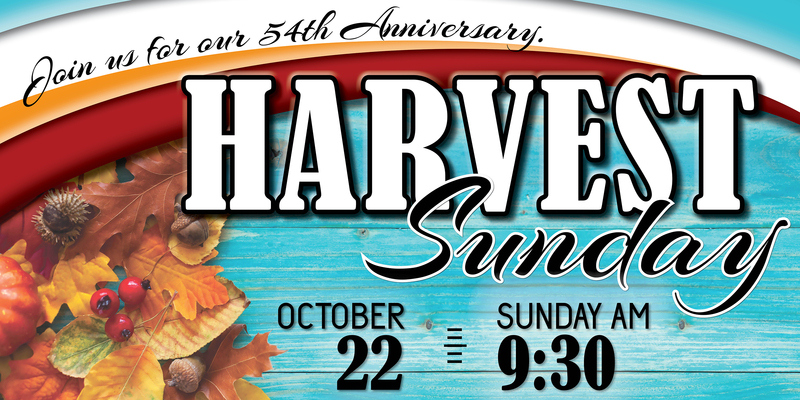 Bible Baptist Church is celebrating it’s 54th Anniversary on Sunday, October 22, 2017. Beginning at 9:30 AM, we will hear Bible preaching and enjoy special music from the Providence Baptist College tour group. After the morning service, everyone is invited to join us for a fried chicken dinner. The kids will enjoy the inflatable bounce house and pony rides, and every family can pose for a free 8×10 family portrait. We will conclude the festivities with an afternoon service beginning at 2 PM. Please plan on helping us celebrate our church’s anniversary by attending this special day and by bringing a guest with you. I’m excited and thrilled to be able to attend services again after such a long time away. May God continue to bless this, (my) church.